Bennettville bunk house. Photo courtesy Sue Fawn Chung. Silver mining in Bennettville began in the 1860’s and reached its height between 1882-1884. During this peak, Chinese workers were hired to build roads into the mining area and to chop wood for the mine’s use. By 1890, the area became a ghost town and only two wooden buildings remain today in Bennettville: the assayer’s office and the bunkhouse/barn. The Forest Service restored these buildings in 1993. With permission, visitors can see inside the barn. 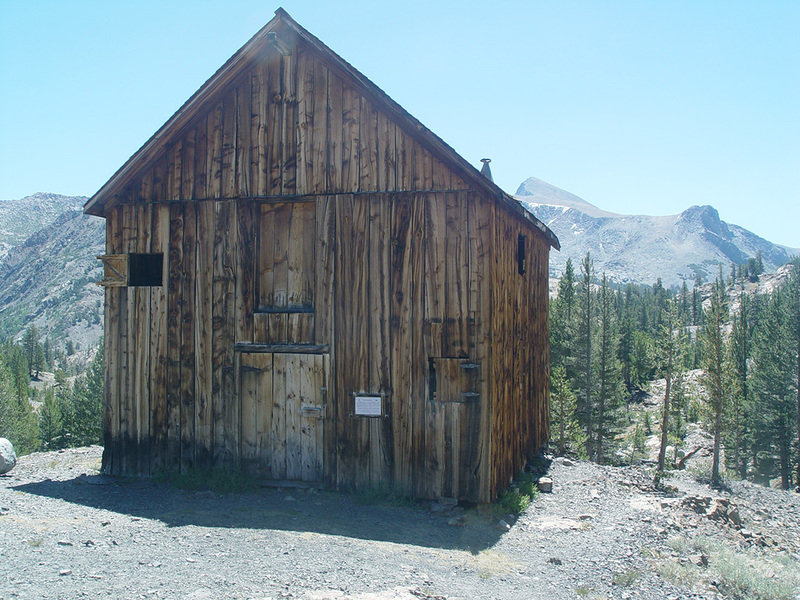 This barn displays a typical building found in many rural, isolated mining towns throughout the West. Horses were housed on the first floor while workers, in this case the Chinese, reside on the second floor. At Cord Wood Ridge, where the Chinese chopped wood, piles of cord wood, as well as ceramic shards and other Chinese artifacts, are scatter throughout the area. National Park Service provides tours of this area on a regular basis. 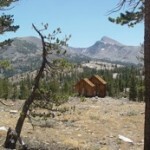 Today, the Bennettville and Cord Wood Ridge is one of the easiest and most picturesque hiking trails on the Inyo National Forest, just outside of the eastern gate of Yosemite, on Tioga Road. The Bennettville and Cord Wood Ridge trail begins at Junction Campground by the road to Saddlebag Lake.